Due to a bug in myTracks 2.4.0 it cannot be updated automatically. 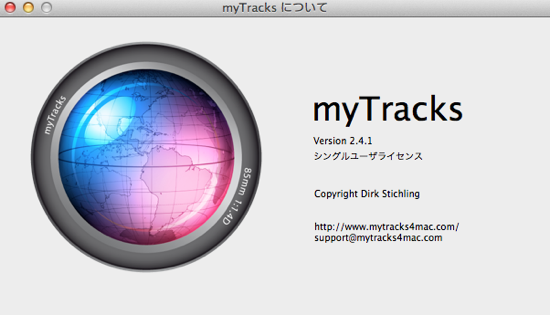 Note: This update is valid for the website version of myTracks only. Support for the Retina display. 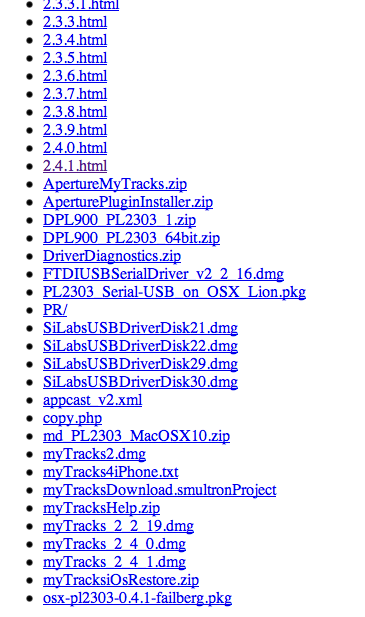 myTracks is now a sandboxed application. When a segment of a track is selected myTracks calculates the length und time for that segment. Bugfix: Sorting tracks by time did not always work correctly. Bugfix: Quitting the application using the dock command did not save any changes to the tracks.